Feasibility studies concerning design proposals for construction of the "Russian Tower" in the Moscow-CITY (an architectural concept and construction solution) A proposal made by Fuller BDJ Partners jointly with SOM and Mossproekt 2. Eight versions of a feasibility study concerning construction of the Russian Tower in the Moscow International Business Center at Krasnopresenenskaya Naberezhnaya were presented for discussion. Among them, three versions were based on a circular-plan pattern; two versions on a square plan; one ver­sion on a hexagonal plan; and one version on an octagonal plan. 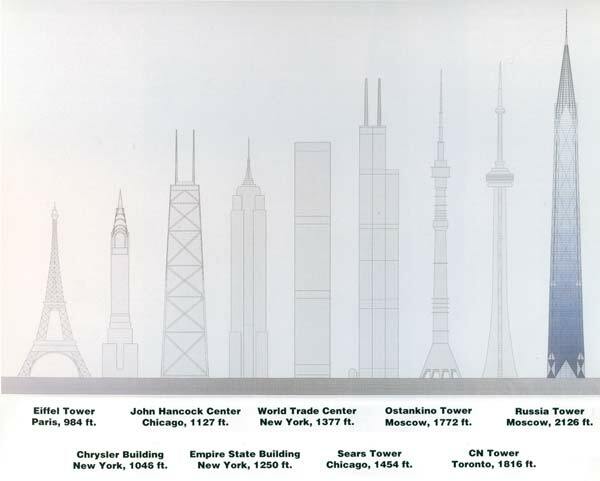 Additional versions of the architectural solutions of the building's volumes and outlines in comparison with famous buildings in Russia and abroad were presented in the form of models, drawings and computer-aided designs. These presen­tations were prepared taking into account preliminary discussions at the Moskomarkhitektura in October 1992. The material submitted was accompanied by comparative analysis of various structural designs and specifications of engineering systems, which makes it possible to begin a public relations campaign to show Muscovites the principles of cooperation between the USA and Russia, using this project as an example. 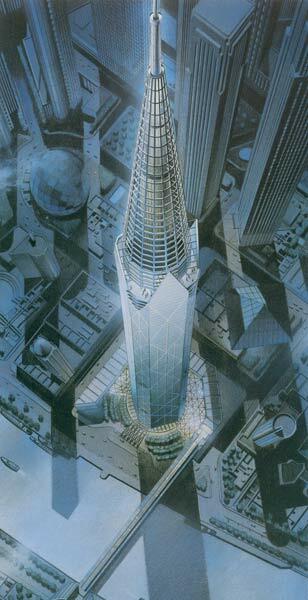 To adopt, as the basis for further development, the design of a high-rise building which is octagonal in plan and crowned by a pyramidal top resembling traditional Moscow architecture. To recommend using modern long-lasting materials resistant to the effects of atmosphere in the facade structures forming the image of the building. In order to increase the expressiveness of the building, to introduce architectural elements and members breaking the monotony without sacrificing the integrity and monumental nature of the Tower. 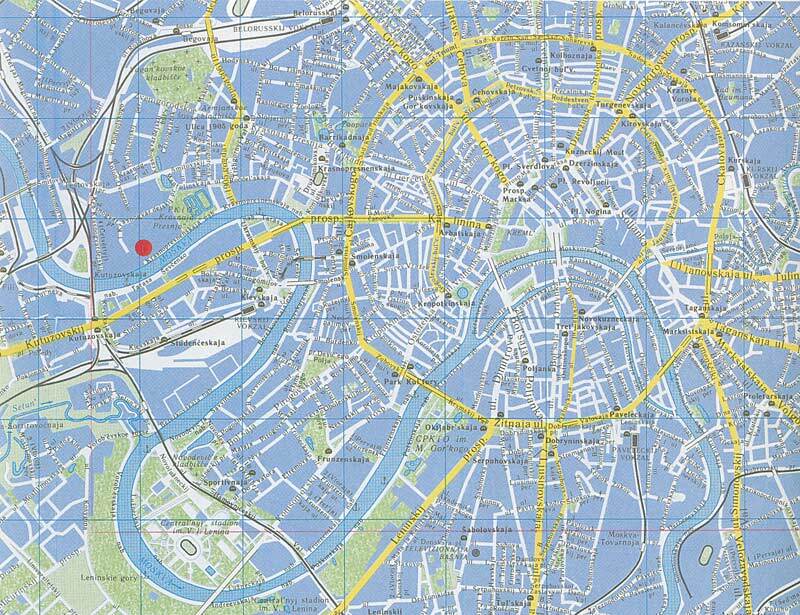 To recommend the use of the traditional Moscow architecture in the base section of the Center. 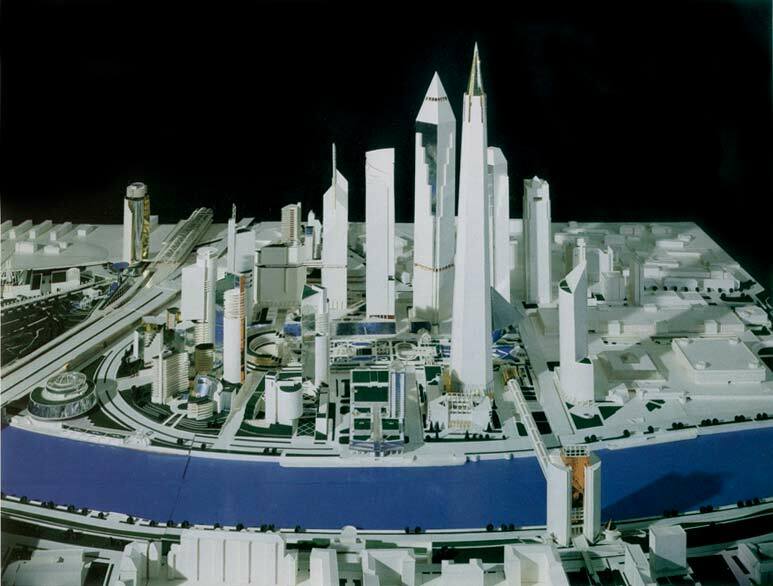 To indicate that the participation of architect B. Tkhor (the author of the concept of the Moscow CITY) in the team that presented this design was a major factor in the high quality of the results obtained. 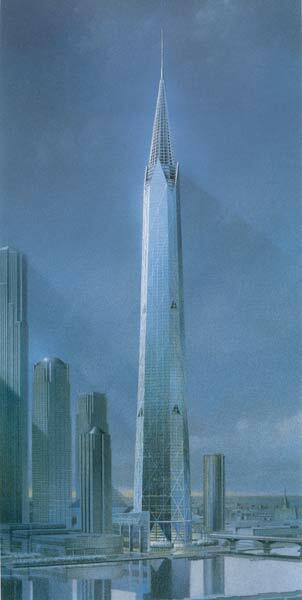 To recommend continuing the cooperation in further design and construction of the "Russian Tower" Center.